Reach a targeted audience and increase sales through copywriting services that clearly communicate the benefits of your products or services. Dynamic Digital Advertising provides professional copywriting services, in-house, through a team of degreed writers. 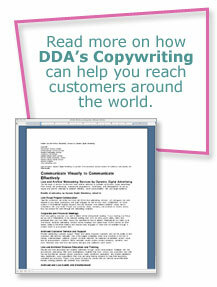 DDA is one of the first full-service advertising agencies to provide comprehensive copywriting services for areas that include organic search engine content optimization for custom website design and development, trade show print media, direct mail, and more. Click on the icon to read more on how Dynamic Digital Advertising’s copywriting services can provide the concise, marketing-savvy communication you need to reach customers around the world. Custom website design and development copywriting for search engine marketing and website promotion is a newly emerging field. DDA has specially trained copywriters who write highly optimized content which is ideal for search engine marketing as well as driving Internet-based sales. Dynamic Digital Advertising has assembled a team of writers with experience in a wide range of writing styles. The purpose is for DDA to be able to serve the needs of a client regardless of their industry. • Time for a Copy Re-write? • your Ideal or Actual Customer? • Copywriting: Round Three-Ding! Ding! • DDA in Third Person? Dynamic Digital Advertising is a leader in custom website design and professional website development, and search engine marketing, and, as such, has developed a proprietary fourteen-step process that results in higher rankings, more visitors, and better conversion rates. This proprietary process earns a website front page placements from major search engines such as Google, Yahoo, and MSN where it is highly visible to large numbers of targeted searches. They enter the website, professionally designed by DDA, and are immediately captivated by highly-stylized design and well-organized information modules that convince them to initiate the desired call-to-action and convert from website visitor to customer. In addition to being a major custom website design company, Dynamic Digital Advertising is one of Philadelphias top graphic design companies. DDA provides clients from any industry with the marketing media they need for success in todays competitive marketplace. Through graphic design for logos, branding, and corporate identity, Dynamic Digital Advertising provides companies with the consumer-recognition businesses need to maximize success in todays competitive marketplace. 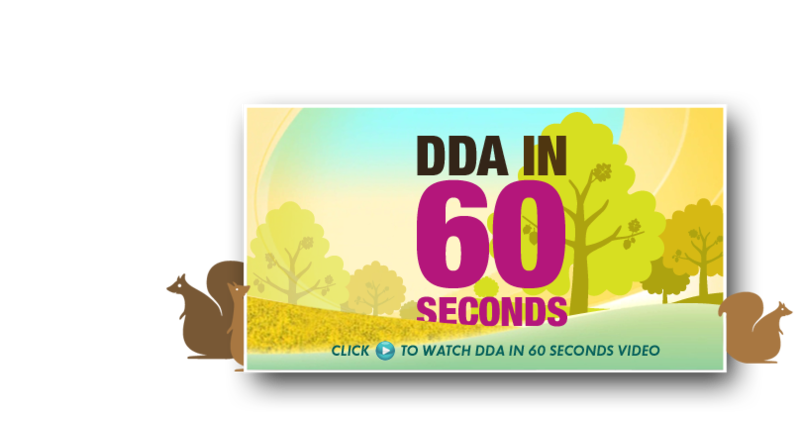 Furthermore, DDA is a full-service advertising agency and is proud to offer the most complete array of digital advertising services in the country. What's New in Copywriting Today? Copywriting is a form of professional writing utilized to promote a business, person, idea, or opinion. Effective copywriting reaches an audience and motivates them to take a desired action with skilled content development that clearly communicates a specific goal. When experienced copywriters develop content for brochures, catalogs, commercial scripts, post cards, sell sheets, or web pages, a company's success soars to another level. Recent developments in the copywriting world reveal the return of the importance in ALT tags, the always important need for effective keyword rich body text and even Google's new plan to implement effective copywriting in their Adwords campaign. Click on the links below for more information.